I am writing on behalf of Linda Lederer-Bernstein of Pacific Sotheby’s International Realty, who recently sold our home in Carmel Valley and sold us our new house in the Whispering Palms neighborhood of Rancho Santa Fe. Over the past 20 years, my wife and I have worked with many different agents. Linda is no doubt the best real estate agent we have ever had. From the beginning, she provided a comprehensive assessment of recent sales in our neighborhood and was extremely helpful in appropriately pricing and ‘staging’ the house. Linda followed through on all the marketing commitments we had discussed prior to listing the property and was instrumental in guiding us through the multiple offers we received for the house. Her follow through after the house was in escrow was excellent. Given her experience and contacts, she was able to quickly coordinate all necessary activities, working closely with the buyer’s agent to ensure a smooth closing. Importantly, as can be expected, there were minor ‘bumps in the road’ during the escrow process that were no fault of Linda’s, but she was extremely proactive and took care of all minor issues before they became a problem. In parallel to selling our house in Carmel Valley, Linda also sold us a home in Rancho Santa Fe. Again, her meticulous attention to detail and her experience in real estate made this a very smooth process. In fact, we were able to move into our new home, which had been occupied, on the same day that we left Carmel Valley. This was not small feat! The seamless nature of this process, which can often be very difficult, was no accident. First and foremost Linda is clearly an expert in real estate transaction, with years of experience. In addition, she is an excellent communicator, is very proactive in addressing any issues, is extremely organized and punctual, and a pleasure to work with. I would highly recommend Linda to anyone needing real estate services. Our experience both in selling and buying a new home was unsurpassed. Having purchased and sold a few homes, we can say that Linda Lederer-Bernstein is by far the best real estate professional that we have worked with. Her attention to detail, expert knowledge of the area, and involvement with the property details were all great assets during our most recent home purchase. Linda was a consummate professional, and went above and beyond the call of duty many times. Generous with communication and diligent in follow through, she is a true pleasure to work with. We want to thank Linda for how she has guided us through the entire process of selling our home with care and professionalism. It was a very emotional decision letting go of a home we love. Linda was very compassionate, extremely patient and totally understanding of our needs. She was warm and caring yet, highly professional, extremely knowledgeable, and very experienced. Scheduling showings and working diligently on our behalf. Always punctual and never too busy to answer our questions. Always phoning immediately after each showing with the prospective buyers comments. She is extremely positive at all times. Working 24-7 she gives 110% to her clients. She is all about integrity and excellence. If you want the best without question Linda is your agent. Linda was the perfect agent for us and we picked her off of the internet! Looking for a home in Del Mar, while living on the east cost, could have been enormously stressful. It wasn’t. Linda made sure that she understood what we were looking for by getting to know what we liked and needed from a home. Even as we changed our mind about what we wanted, Linda easily adapted. She has great flexibility. Once we finally chose our home, Linda handled all of the details with great competence. She stayed on top of things. 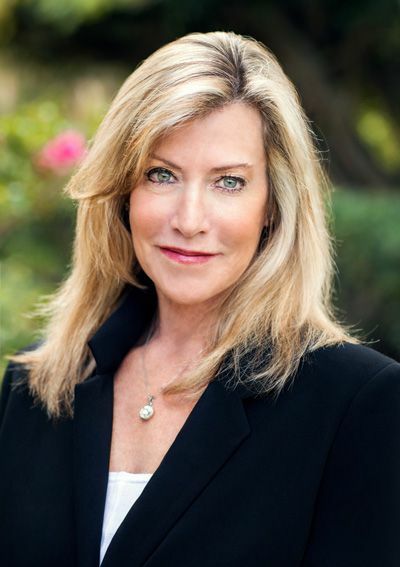 We loved our experience working with Linda Lederer-Bernstein from Pacific Sothebys, Del Mar. I am writing this commendation for Linda Lederer-Bernstein. When George Weida decided to sell his house on 7329 La Soldadera, Rancho Santa Fe, CA 92067, we contacted Linda for her services. From that day on, she devoted 24/7 towards our needs and everything went quite quickly. She not only kept us advised on all of the procedures that had to be taken care of on a timely basis, but she was always there for us when we had questions or concerns. She also was in contact with the financial institution on our behalf to make sure that everything was going smoothly. Due to her knowledge of the market and constant effort on our behalf, the house sold in a short period of time (approximately 7-8 weeks) from the time of our initial contact with her. During the process of selling the Rancho Santa Fe home, she searched for a new home for us and found three possibilities in the area that she knew we were very interested in. She was highly instrumental in the buying procedure of our present home in our area of choice. Here again , with her efforts, the procedure went very well. She was also instrumental in finding us a mover to relocate all of our possessions. That in itself was a tremendous relief. If we had another property that we were interested in selling, we would definitely contact Linda for her assistance once again. We will also definitely recommend her to other parties who are interested in selling or buying. This is a letter of commendation for Linda Lederer-Bernstein and Jenniffer Taylor. Linda and Jenniffer just completed a short sale for me in Vista, CA. That alone would be miraculous in today’s economic climate. However, they were able to do so with a very compact timeline, and with minimal disruption to my daily existence. The house sold, literally, after the first showing. The realtors were able to sift through potential buyers to show the home only to those they believed were earnest buyers. This was very important to me since my husband was near death at the time and that circumstance needed to be considered in the showings. This could only have been accomplished because both Linda and Jenniffer are very knowledgeable about the short sale process, a process that, at best, is confusing and illogical. They both made the process understandable, and their professionalism as seasoned realtors made the process move along smoothly, with very few bumps. I believe their ability to communicate, clearly, every step of the process was a great asset in moving toward completion so swiftly. I am most grateful for their help and compassion in a time when both characteristics were needed by me. Linda and Jenniffer have been terrific throughout the entire process of selling our home. They have been with me every step of the way, guiding me through the nuances of the process from listing to offer to negotiations and acceptance. They have helped us with all the moving parts throughout the escrow process. I would highly recommend this team. Linda has worked with my husband and I to sell our Rancho Santa Fe home in a very challenging market. It is easy to write a testimonial for a quick and simple sale. Our experience selling our home has been neither quick nor easy. Without Linda’s diligence and true expertise we could have suffered financial loss as well as emotional drain. Having Linda in our court kept a difficult deal moving forward. She tapped into a critical network of contractors and other professionals who acted quickly to address issues. She always kept our best interests in the forefront of negotiations. When the deal was lost Linda’s careful and thorough attention to our interests throughout the process made for a fast and clean closure. All of this happened in the midst of a week-long holiday. Yet Linda was doing business and working for us nonstop. Her counsel and extraordinary efforts have reinforced our decision to continue working with Linda. We can’t imagine working with another realtor who could match Linda’s professionalism. Linda was the Realtor who handled our house sale in 2009 and we would both highly recommend her. Her style is to give a personal service, by this we mean she takes an active interest in everything to do with the transaction. This includes showing the home personally and conscientiously and energetically following up with other agents, lenders, appraisers. She is also very straightforward, honest and timely in her communications. We found Linda to be very knowledgeable and smart, enabling us to be creative in our negotiations and dealings. On a personal level she is very caring and a very pleasant person to work with. Linda has helped us to purchase and sell our home. Through her high energy, expertise, attention to detail and follow-through, Linda has consistently made us feel like her most important client — each and every time we have worked with her. We have recommended Linda countless times to our friends and colleagues. We were very happy with Linda’s overall approach to selling our home. She understood our neighborhood, marketed our house accordingly and was always accessible and responsive. There were no surprises through the process. And Linda did everything necessary to insure that escrow closed on time. Karl and I would like to thank you for selling us our beautiful house on Noche Tapaptia. You were very professional in every aspect and buying our house couldn’t have been easier. You were always there for us whenever we needed you, either by phone or in person. We were especially pleased in the way that you worked with the builder made the entire real estate transaction come together so smoothly. We have bought several properties throughout the years and we can say that by far, you have been the easiest and most pleasant to work with always maintaining your professional and friendly ways from the offer through the closing of escrow. We would never hesitate to call you again if we ever needed real estate advise or for a future purchase. Again, our many thanks for being the fine agent that you are. Our experience with Linda Lederer-Bernstein was superb! We have been working with Linda for the past 18 months involving our property in Rancho Santa Fe. Linda’s integrity, work ethic, industry knowledge and extensive professional experience puts her well beyond many other agents and realtors that we have worked with in the past. Always friendly, always willing to go the extra mile. Linda’s enthusiasm and passion has been a driving force during a very difficult and challenging period in the US real estate market that was especially hard felt here in California. We have great appreciation for her dedication, her patience, her empathy and insight and her unwavering commitment in representing us – a commitment that she has consistently demonstrated with the same energy and enthusiasm since day one. materials were phenomenal- the photography was outstanding and the ads she put out were fresh every few weeks. Her ads reached markets out of state- and that’s where we found our buyer! She really made our property stand out from the rest. Linda was communicative & very creative with her marketing & advertising campaigns and social media presence. She truly cared about our interest in selling our home in a timely manner and at the best possible price! her creativity with her various marketing & advertising campaigns. My parents home sold quicker and for more money than we originally expected! Linda and her team know the Rancho Santa Fe area best! They were so helpful and professional and handled every detail with expertise. Linda was easy to work, good with communication and very diligent. I would recommend her to my family, friends and colleagues. needed her or just wanted to bounce ideas off her, Linda was on the phone to chat and was focused, patient, and understanding. As we moved toward the closing, Linda was by our side at every step and showed up at the house to ensure everything moved as smoothly as possible. Even after we took possession of the house, Linda was still in touch with us to be sure all was good, that we had names and contacts to maintain the house property, and that all our questions were answered. I cannot imagine going through this experience without Linda by our side. Simply put, there's not a better informed, smarter, or better prepared agent in the area. If you want the best, Linda is the clear choice!